Hello! 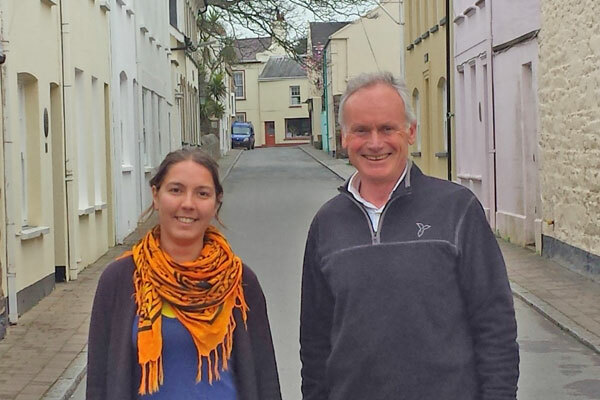 We are Martin and Anne-Isabelle and we are the Living Islands Team. Living Islands is a project about tourism. Our job is to make Alderney better known in the UK, the Channel Islands and in France, and attract more visitors on the islands. 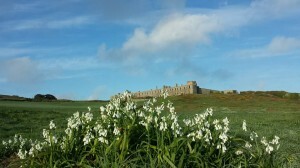 We are promoting the nature and heritage assets of Alderney, which we believe make our island so special. 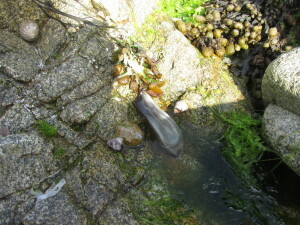 In Alderney, you can see many signs of the past (Victorian forts, World War 2 concrete bunkers…) and nature is everywhere. Both nature and heritage shape the landscape. 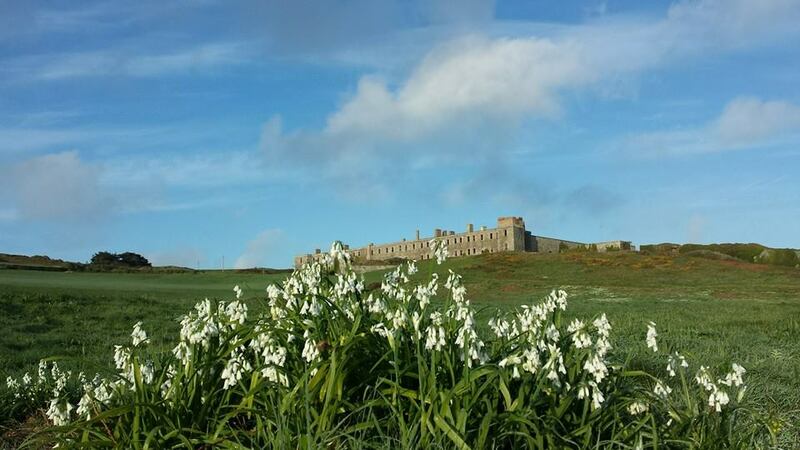 We would like visitors and residents to enjoy exploring the island and to understand the history and the wildlife around them. We’ve chosen a few sites which present both heritage and wildlife interests and we are going to restore them. 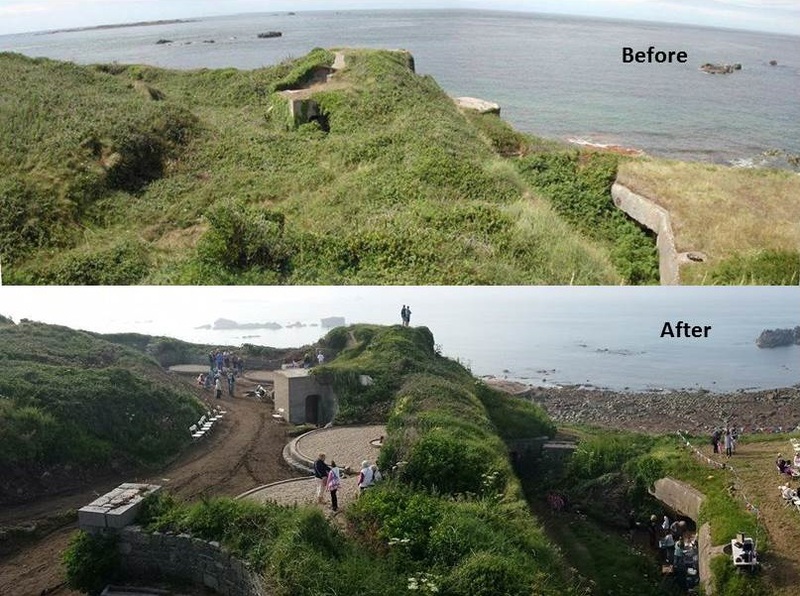 The first Living Island site to be restored has been part of Fort Tourgis. It is a building from the 19th century which overlooks the Ramsar site. With the help of the States (our government) and many volunteers, we’ve cleared the brambles and rubbish to allow access inside the Cambridge Battery (the area that we’ve restored). We have painted the steps to make access safe. And we’ve installed some information panels to help visitors understand the building or the wildlife around. 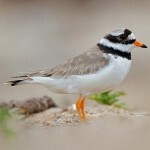 For instance we explain how the guns worked and how the different rooms were used, but also we explain what a RAMSAR site is and its importance for seabirds. We spent many hours working in Fort Tourgis area but we are proud of the result! 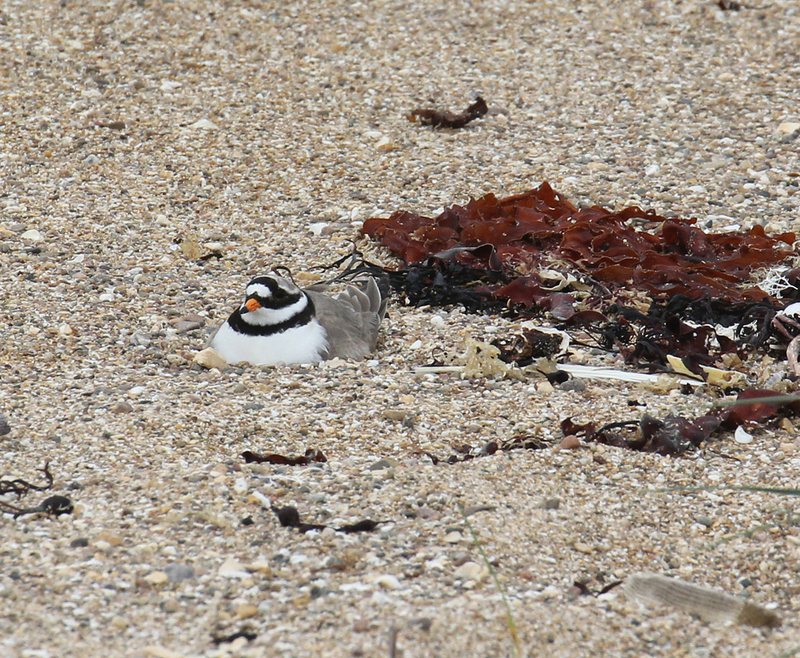 Fort Tourgis is also located very close to Platte Saline and Clonque beach where, as you know, the ringed plovers are nesting. Anne-Isabelle takes part in the monitoring with Tim and Martin explains the importance to not disturb this species every time he shows the island around to visitors. 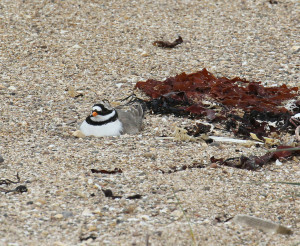 Living Islands helped to install the signs telling people about the presence of plovers on the beach as well; you will see this tomorrow (have a look, our logo is on it!). The next site to be cleared by Living Islands will be Bibette Head, overlooking our harbour. This site was built during WW2 by the Germans who occupied the island. It is an impressive piece of fortification close to the common tern colony. Many wildflowers grow in this area as well. The flower of the moment is the pyramidal orchid. Soon, we will invite people to rediscover this site and take part in its conservation. When people get involved in the work, they start to adopt places, like them and take care of them. We will start the work this summer and we hope to open it this autumn. 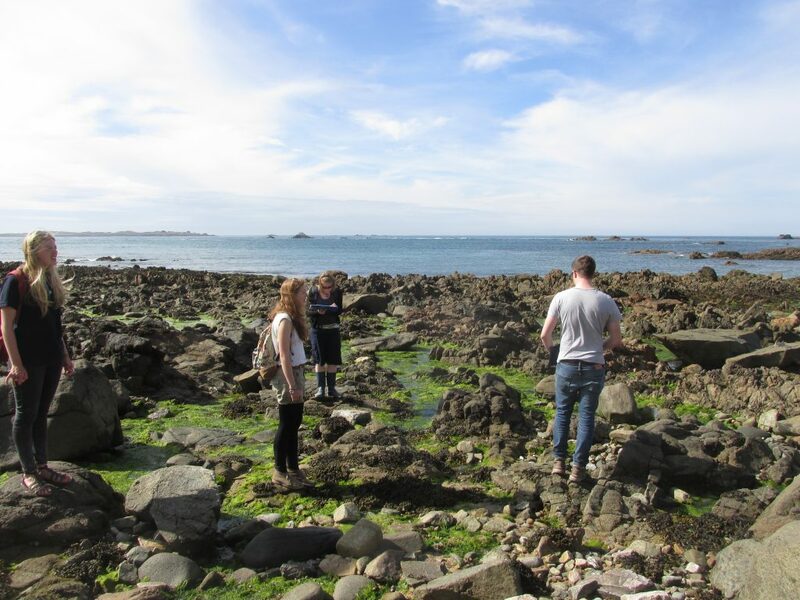 Recently the marine team have continued working on surveying the intertidal regions of Clonque Bay. 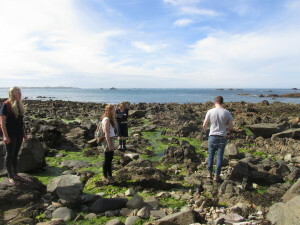 Most of the intertidal surveys are spent identifying seaweed species to try and describe each biotope within the habitat (this means each section of the bay that is dominated by a different species to the next). It can take some time but is very valuable in seeing how the composition of our bays and beaches change, or are damaged, due to weather and any invasive species. Whilst the surveys are very valuable for our ecology work they also throw in a couple of surprises each time. 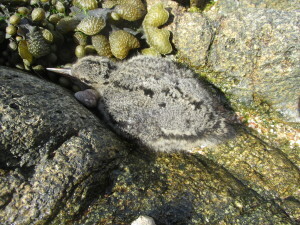 On our most recent trip we found an oystercatcher chick and an eggcase for a nursehound (a species of catshark); eggcases wash up on shorelines long after the young skates/rays/sharks have hatched. 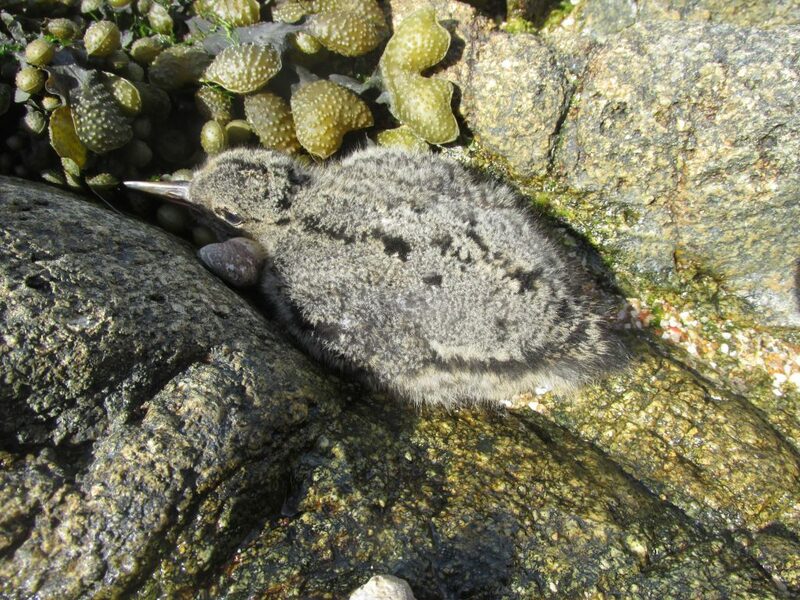 Oystercatcher chicks are all around Alderney but always great to see. The nursehound eggcase is the first recording of this species ever on Alderney! So a very exciting and productive survey. The Alderney Wildlife Trust (AWT) is made up of a number of staff members. 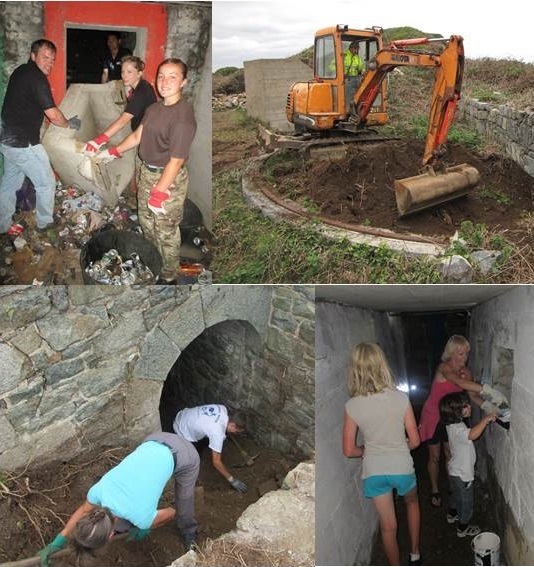 These staff members work really hard in their individual areas, but also as an excellent team, to keep Alderney a brilliant place for wildlife and people alike.